Mark Johnson was born in Sydney in 1946. He graduated in medicine in 1970 then worked mainly in photography from the mid 1970s until the mid 1980s. 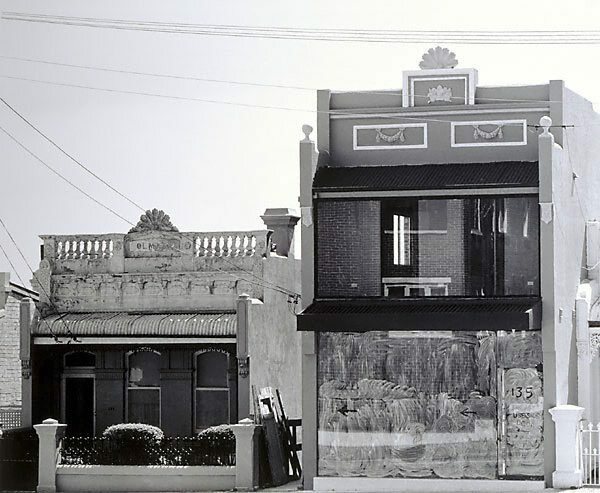 During this period he exhibited widely in Australia and became closely involved in the Australian Centre for Photography where, at various times, he tutored photography and edited 'Photofile' magazine. His work is represented in all major Australian public collections as well as the Victoria & Albert Museum, London and the Stedelijk Museum, Amsterdam. In the late 1980s he returned to medicine and now lives and works in London. Johnson's black and white photography is grounded in an investigation of the relationship between photographer, camera and subject. On the surface his work appears to be simply documentary albeit of an almost severe formality. However, his interest in phenomenology as much as topography allowed him to develop a highly refined style which has a certain debt to the concerns of the era in which most of his work was produced: minimalism, abstraction and conceptualism. In addition, Johnson acknowledges the influence of individual photographers from the past and his own generation - such as Grant Mudford, Bernd and Hilla Becher, Eugène Atget, Walker Evans and Charles Bayliss. The Art Gallery of New South Wales owns all of Johnson's major series of which 'Sydney Buildings' 1977-1978 is one. 'Sydney Buildings' expresses Johnson's interest in examining the phenomenological aspects of certain mundane buildings in Sydney and why they loomed so large in his perception. Johnson was also interested in what these buildings manifest of a period which the photographer found disturbing for its conservative social and political aspects. Signed and dated l.c. verso, pencil, "MARK JOHNSON/ ...1977".